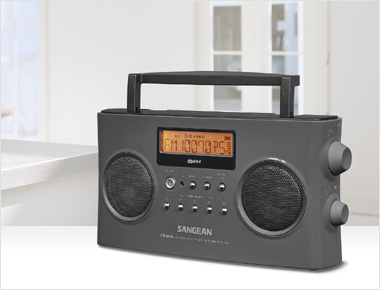 Having had the Sangean PR-D15 radio for about 10 days, I’m developing a respect for it. With what I’ve learned in its use, there is a simplicity in operation that many should enjoy. The big feature for a radio that I really must insist on, is being able to plug this radio into 12V DC with a power supply plug. And this PR-D15 has this capability. I am using a 12 Volt DC, 12 Amp Hour battery as power supply to this radio. Digital displays and their illumination can really eat “AA”, “C” and “D” battery power, and using a 12V Gel Cell, AGM or auto battery allows many, many hours of listening. Th Sangean PR-D15 uses a 200MM Ferrite bar internal antenna. So far, after about 25 hours of AM DXing alone (not including daily AM use), I’ve learned this radio can really hear! In a few days, I’ll do some side by side reception tests with the PR-D15 alongside my CCrane CCRadio-SP twin-ferrite analog portable radio. And then, more side by side’s with a CCRadio-2E, the Enhanced version. Mike, I look forward to your future radio comparison with great interest! The Sangean PR-D15 sounds like a keeper. This entry was posted in AM, Mediumwave, News, Reviews and tagged Mike, PR-D15, Sangean, Sangean PR-D15, Sangean PR-D15 Review on December 8, 2013 by Thomas. Can this radio be safely operated from my cars cigarette lighter at 12 volts dc? Car voltage can be as high as near 14 volts with engine running. Is this safe? Will it damage the radio? Thank you for your help. No radio is ever good that is equipped with DSP. Enough said.